Who knew that an unwed celebrity flashing a boulder-sized ring on Instagram could have folks talking for days on end? Nicki Minaj, that's who. While she jet sets from one country to another on her Pinkprint tour, her fans (along with everyone else who absolutely needs answers) are left to contemplate whether Nicki Minaj and Meek Mill are actually engaged. Because the couple has yet to come out and officially confirm the news (Bustle has reached out for comment, but has yet to hear back), I still have no idea if they're actually planning to get hitched, but that didn't stop me from outlining Minaj's wedding day details down to what hair and dress she should wear. All this waiting on a yay or nay from either Minaj or Mill's camp leaves room for plenty more engagement discussion, so I'm just going to throw this one out there: How would Drake react to Nicki Minaj's engagement news, if it is indeed true? I suppose the answer to that question depends on who you ask. Minaj has said that she sees Drake as a brother, but that doesn't stop people from envisioning their romantic future as a couple made in hip hop heaven. 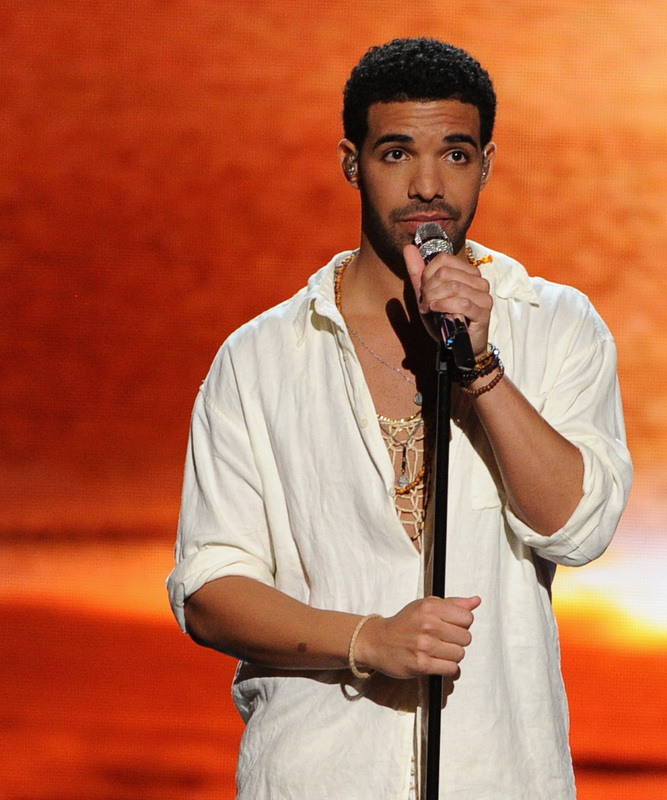 Oh, and Drake's reaction to that "Anaconda" lap dance was, ah... not exactly brotherly in nature. But, hey, everyone knows he's quite the convincing actor from his days on Degrassi. Then secretly crying that he didn't get the chance to propose first. Ah, Drake. Too little, too late. He would definitely need some time for deep contemplation. I'm gonna guess that Drizzy would react to Minaj's engagement with a little more enthusiasm than he appeared to have after Madge smooched him at Coachella. But wait — don't mistake this for a celebration. It would strictly be to mask his emotions over not being the one to win Nicki's heart. It'll be OK in the morning, Drake. We've all been there. Yeah, yeah, we know Drake. Minaj and Meek Mill hooking up was all a part of your master plan, right?